As consumers grow more aware of ethical practices in the fashion industry, large retailers are stepping up their game to offset the damage they do on an annual basis. 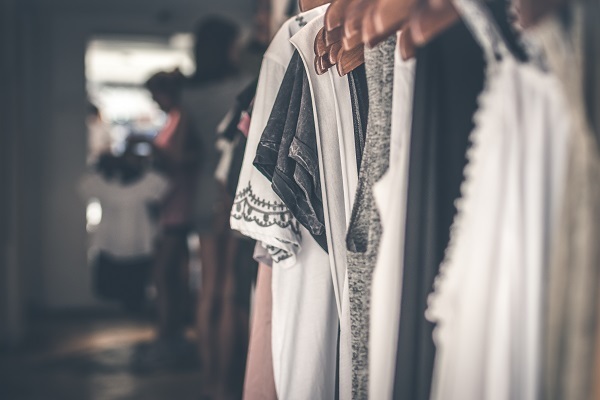 Both H&M and Zara have a clothing recycling incentive programme, where they reward shoppers with small discounts when they turn in the clothes they no longer use. Depending on how well-worn these items are, they get redistributed appropriately. Rewear – clothing that can be worn again will be sold as second-hand clothes. Reuse – old clothes and textiles will be turned into other products, such as cleaning cloths. Recycle – everything else is turned into textile fibres, and used for things like insulation. The point, however, is that before you just pick up a bargain for a bargain’s sake, it’s worth doing a bit of research and scratching the surface to find out whether your favourite retailer or brand are doing their bit to help save the environment, support local small businesses or cut down on their imports. One of the very best ways to make sure that you’re contributing to ethical and sustainable fashion, is to support local designers, makers and small businesses. Whether that’s investing in two or three top quality items from local designers to form part of your capsule wardrobe or buying a basket bag from a trader at your village market, you’ll be making a huge difference. When you support local industries, you help create jobs and keep people in service, you contribute to our economy and of course, get the seriously cool benefit of having truly unique items to show off. Check out our fashion section for loads of eco-friendly options. My personal favourite way of minimising my clothing-related carbon footprint is to buy vintage and second-hand. There’s nothing quite like the thrill of thrift-shopping – finding absolute gems in pokey little charity shops or bric-a-brac markets. Vintage/second-hand fashion is enjoying a huge rise in popularity in South Africa and preloved markets, Instagram accounts and online shops are popping up everywhere. Reduce, reuse, recycle your style by having a clothing swap with friends! I’ve been part of a good many clothing swaps in my time and can tell you, you’ll be amazed at how excited someone else gets about that dress you haven’t worn in years! And vice versa, of course. Sometimes we lose our passion for our own clothes, but that doesn’t mean they’ve lost their magic. All it needs is the right eye! If you’d like to do a clothing swap with friends, but don’t know where to start, here’s a blog post I wrote way back in 2011 about my first experience. It includes a few basic guidelines. If you aren’t much of a sewer, the temptation is probably always there just to throw out any item of clothing with a tear or even a missing button. However, if you’re serious about being a more conscious fashion consumer, you’ll have to discipline yourself in this regard. If it’s a small hole in a sock or a missing button or two, it’s not too hard or time-consuming just to patch up quickly. For bigger jobs, you can always approach a local seamstress or a nifty family-member or friend to help you out. Although I recently took up sewing with dreams of creating my own garments (spoiler alert: it’s really hard and I’m yet to make something wearable, but I’m getting there!) and generally try to fix up my own clothes, I often turn to more experienced hands for complicated jobs like resizing skirts/dresses/pants. This is a great way to ensure that you get maximum wear out of every garment! Finally, if you’ve grown bored of the items in your cupboard and have a crafty side, why not think of ways to make them more interesting. Put a Sharpie to your sneakers or sew a patch onto your jeans. Really, the possibilities are endless! Am I going to wear it at least 30 times? And if the answer is no, best you put it right back on that railing. The 30 wears campaign was started by Livia Firth – sustainability consultant, producer of the fast-fashion documentary The True Cost, and wife of actor Colin Firth – to help people rethink their clothing consumption. The ultimate goal, is to reduce the number of items you buy and, so doing, also reduce the related waste. Plus, you’ll end up having a closet full of only the clothes you really, REALLY like. Want more ethical fashion advice? Check out our article about wearing ethical leather. What are your sustainable fashion tips? This article originally appeared on Faithful to Nature. For your drive, your ideas, your writing skills and your determination to make a difference. Don’t give up – we need voices and energy like yours to turn humongous ships around. Love all the ideas you gave! When one start to look at how you can use less, buy less and up-cycle, one is amazed at how little one actually needs! And how far the clothes you have actual go, and that you don’t need that many pairs of jeans or that many pairs of shoes!